SkyTrak 6042 - Aero Lift Inc. 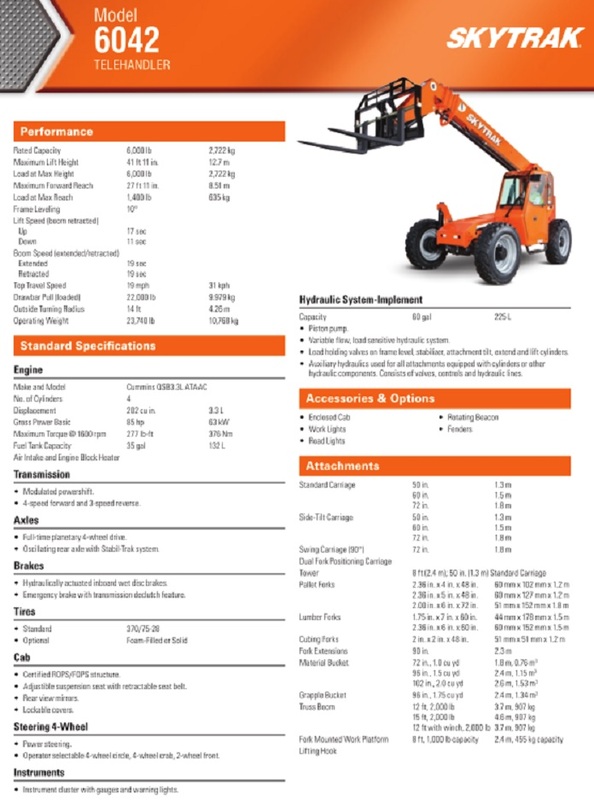 Reliable and operator friendly, the SkyTrak model 6042 all-wheel steer telehandler provides a high level of productivity on every job. With a powerful Cummins engine and the exclusive Stabil-Trak stability system, you get a level of operator confidence unmatched in the industry. 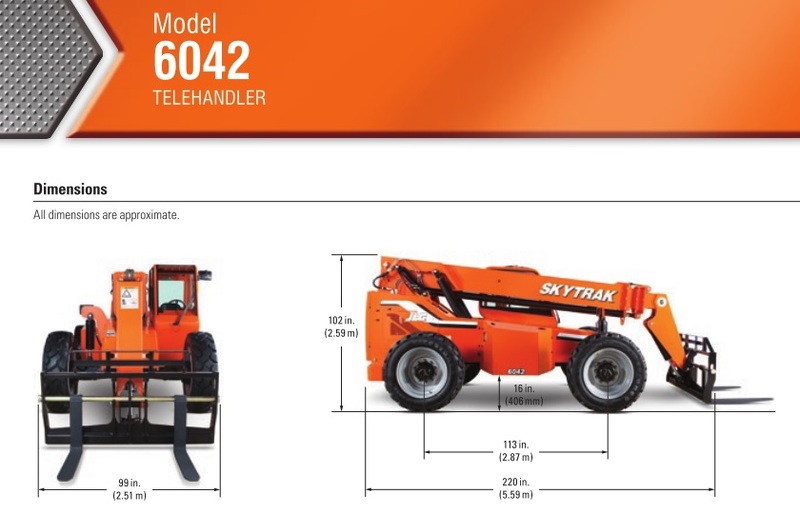 Do you need used SkyTrak parts for your 6042 ? Let us quote you a price. Please contact us. New SkyTrak parts for your 6042 may also be available. Please contact us.